Today was another scorcher, and sadly we don't have a garden, so I took Ethan to our local one o'clock club (playgroup) this afternoon, hopeful that they would have some water play. We were not disappointed as they had water tables, a sprinkler going and a paddling pool. 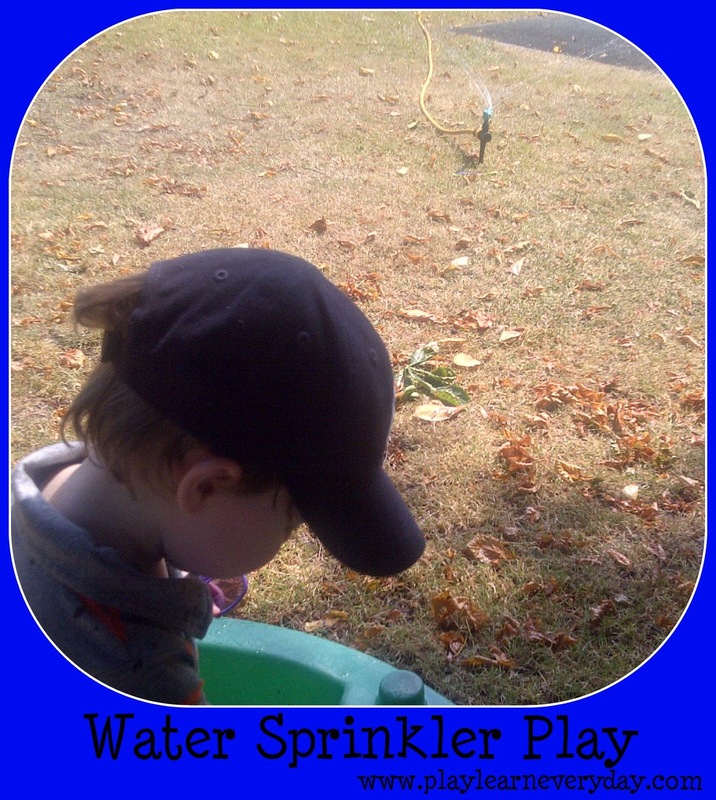 Water play is great for developing Knowledge and Understanding of the World as they scoop and pour water and splash it around to explore it's properties.